To provide better in-house diagnostic care and thereby saving patients from the hassle of shuttling to different offices, acquiring a state-of-the-art digital imaging machine was a natural progression for us as a multi-specialty family-friendly dental clinic located in the heart of Newton. All this with the safety of super-low doses of radiation – generally much lower than conventional X-ray machines & medical CTs – and in a way that addresses those who might find some forms of diagnostic imaging equipment claustrophobic. Call us today to learn more or to book a consultation. What Secrets Does This Cup Hold? 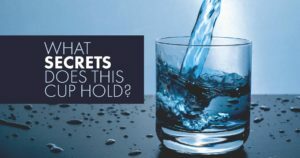 For decades, most public water supplies in the U.S. have been fortified with fluoride. Fluoridation has been repeatedly proven safe and effective for preventing tooth decay. It doesn’t affect the smell, taste, or look of water–all while keeping your teeth strong! What is the Deal With Gum Contouring? There are a variety of reasons why a patient may be unhappy with their smile. Your dentist can help! One of the more common complaints a patient may have about the look of their teeth is the height of their gums. If you have high gums, you may find that your teeth look somewhat small and short. A variety of things can cause excess gum tissues such as certain medical conditions, medications, developmental gum problems, genetics, and even decay. While any combination of these things could be why you suffer from excess gum tissue, only laser gum surgery and laser gum contouring can fix it. The main benefit of using laser dentistry is its precision. When using a laser, your cosmetic dentist can accurately and precisely target the areas of your smile that you would like contoured. The laser also comes with the added benefit of easing the inflammation of red, irritated, and inflamed gums. By using the laser on irritated gums, gums actually become more resistant to bacteria. The best part about laser dentistry is that the treatment causes no bleeding or pain, and allows for a quick recovery. Talk to your dentist to see if laser gum contouring is right for you, and gain confidence in your smile again! It’s common knowledge that smoking affects your oral health, but let’s not forget about smoking’s destructive counterpart…smokeless chewing tobacco. For those of you unfamiliar with smokeless tobacco, snuff is a fine grain tobacco that a user places in their mouth between their lips and gums. As saliva generates the user, instead of swallowing, spits out the saliva tainted black from the tobacco. The result? The user feels the effects immediately. The nicotine goes directly into the blood stream, along with hundreds of carcinogens. Snuff can harm your health in a number of ways. Everything from tooth discoloration, throat and gum disease, lung and oral cancers, and in some untreated cases, death. The greatest and most common concern for snuff users is gum cancer. Some major warning signs are while scaly patterns on the inside of the mouth or lips and red sores. If left untreated or undetected, the condition will develop into oral cancer. So what can you do to avoid developing a serious illness? The first is obvious…stop the habit all together. We know, that’s a lot easier said than done. Try going the route of nicotine patches or gum. You’ll provide your body with the nicotine it craves, while not damaging your oral health. You can also visit your dentist frequently. The ADA recommends that smokeless tobacco users need to see their dentist more often than normal. Frequent trips to the dentist will help you keep an eye out for oral lesions that will later develop.